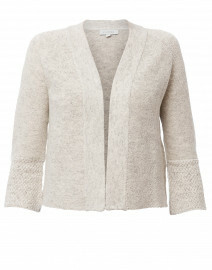 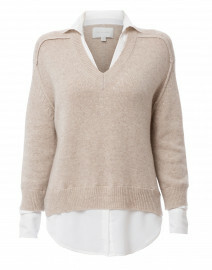 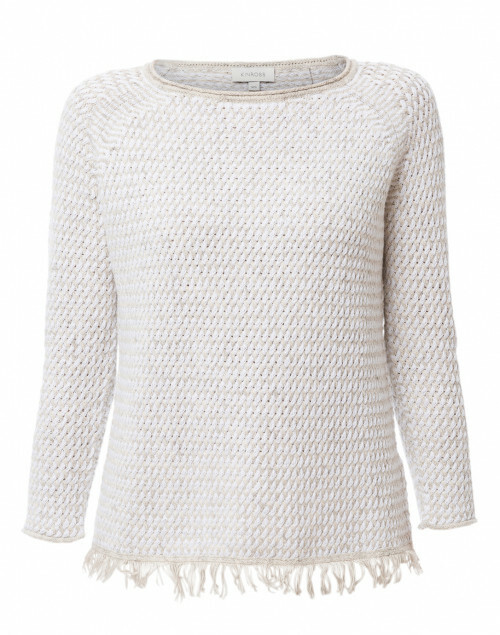 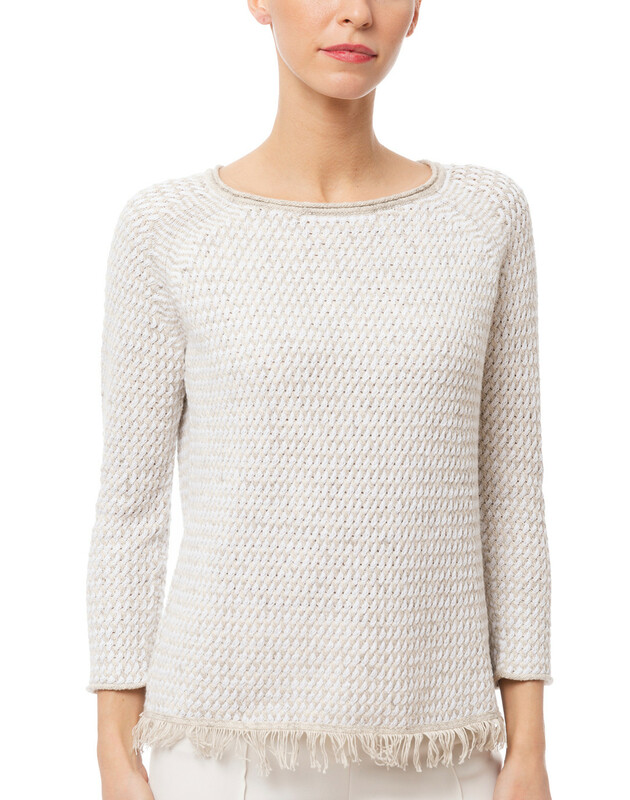 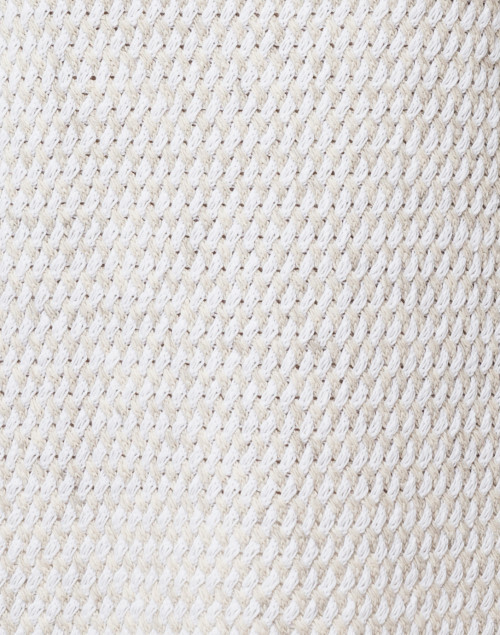 Kinross adds this beige and white marled sweater to its collection of elegant basics. 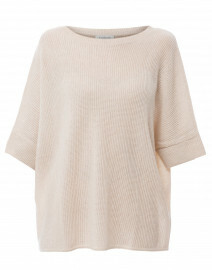 It's made from heavyweight cotton with a round neck and detailed with a fringe trim on the hemline. 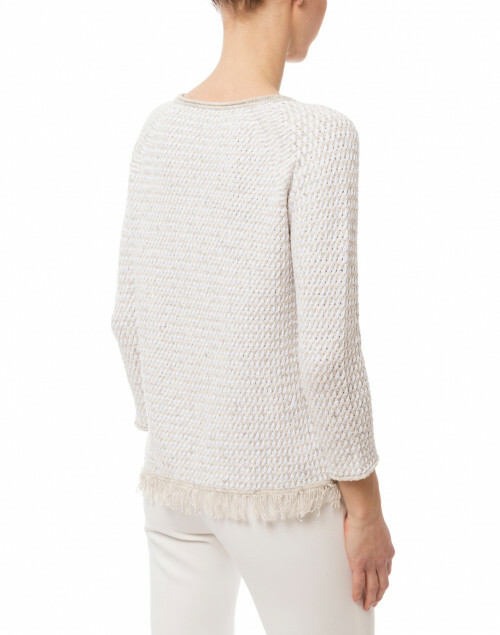 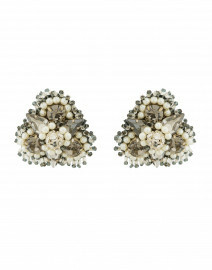 Dress it up with white tailored pants and statement accessories. 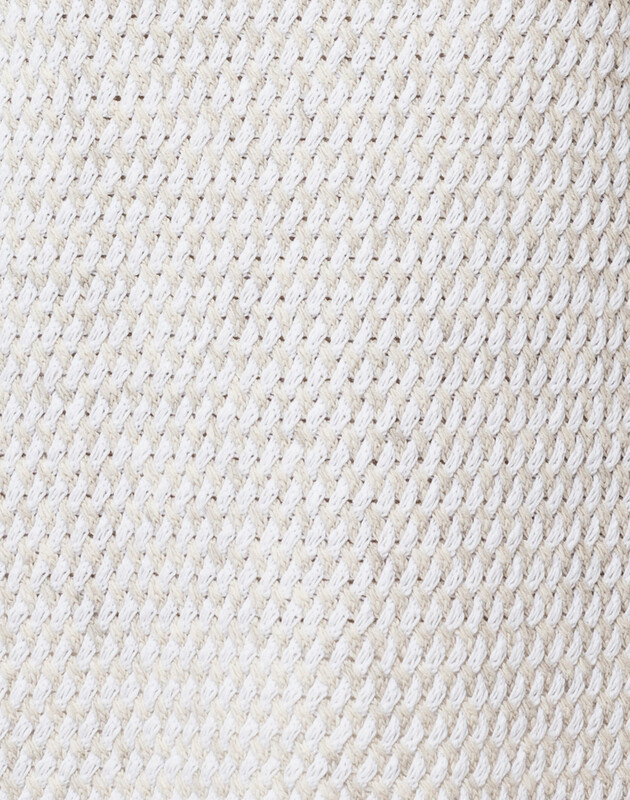 Length 22" 22" 22" 23" 24"
Shoulder Width 17" 18" 19" 20" 21"
Waist 38" 39" 40" 44" 47"
Hip 38" 39" 40" 44" 47"
Sleeve Length 21" 21" 21.5" 21.5" 21.5"